Andreff, W., Szymanski, S., Szymanski, S. (2006). Handbook on the Economics of Sport: Edward Elgar. Aycan, P., Polat, E., Uçan, Y. (2009). Takım özdeşleşme düzeyi ile profesyonel futbol müsabakalarına seyirci olarak katılım kararını etkileyen değişkenler arasındaki ilişkinin incelenmesi. SPORMETRE, 7(4), 169. Cunningham, G. B., Kwon, H. (2003). The Theory of Planned Behaviour and Intentions to Attend a Sport Event. Sport Management Review (Sport Management Association of Australia & New Zealand), 6(2), 127-145. Dhurup, M. (2010). Motivational variables that influence fan attendance in domestic rugby matches. African Journal for Physical, Health Education, Recreation & Dance, 16(2), 204-220. Douvis, J. (2008). A review of attendance and non-attendance studies at sporting events. Biology of Exercise, 4, 5-20. Farrell, A., Fink, J. S., Fields, S. (2011). Women's Sport Spectatorship: An Exploration of Men's Influence. Journal of Sport Management, 25(3), 190-201. Ferreira, M., Armstrong, K. L. (2004). An Exploratory Examination of Attributes Influencing Students' Decisions to Attend College Sport Events. Sport Marketing Quarterly, 13(4), 194- 208. Gençer, R. T., Aycan, A. (2008). Seyircilerin Profesyonel Futbol Müsabakalarına Katılım Kararını Etkileyen Değişkenler Üzerine Bir İnceleme. Ege Akademik Bakış, 8(2), 771-783. Gençer, R. T., Kiremitci, O., Boyacioglu, H. (2011). Spectator Motives and Points of Attachment: an Investigation on Professional Basketball. Journal of Human Kinetics, 30, 189-196. Kahle, L., Duncan, M., Dalakas, V., Aiken, D. (2001). The Social Values of Fans for Men's Versus Women's University Basketball. Sport Marketing Quarterly, 10(3), 156. Melnick, M. J. (1993). Searching for Sociability in the Stands: A Theory of Sports Spectating. Journal of Sport Management, 7(1), 44-60. Mullin, B. J., Hardy, S., Sutton, W. A. (2007). Sport Marketing: Human Kinetics. Pan, D. W., Gabert, T. E., McGaugh, E. C., Branvold, S. E. (1997). Factors and differential demographic effects on purchases of season tickets for intercollegiate basketball games. Journal of Sport Behavior, 20(4), 447-464. Robinson, M. J., Trail, G. T., Hyungil, K. (2004). Motives and Points of Attachment of Professional Golf Spectators. Sport Management Review (Sport Management Association of Australia & New Zealand), 7(2), 167-192. Salman, G. G., Giray, C. (2010). Bireylerin futbol taraftarı olmasını etkileyen güdüler ile sadakat arasındaki ilişki: Fenerbahçe taraftarları üzerine bir uygulama. Marmara Üniversitesi Sosyal Bilimler Enstitüsü Dergisi, 9(33), 89. Trail, G. T., James, J. D. (2001). The Motivation Scale for Sport Consumption: Assessment of the Scale's Psychometric Properties. Journal of Sport Behavior, 24(1), 108. Wann, D. L., Grieve, F. G., Zapalac, R. K., Pease, D. G. (2008). Motivational Profiles of Sport Fans of Different Sports. Sport Marketing Quarterly, 17(1), 6-19. Zauhar, J. (2004). Historical perspectives of sports tourism. Journal of Sport & Tourism, 9(1), 5-101. Zhang, J. J., Pease, D. G., Hui, S. C., Michaud, T. J. (1995). Variables affecting the spectator decision to attend NBA games. Sport Marketing Quarterly, 4(4), 29-39. ISNAD YILDIZ, Alper , Koçak, Settar , Altunsöz, Irmak , Devrilmez, Erhan . "Spectators’ Participation Decisions in the Basketball Matches". 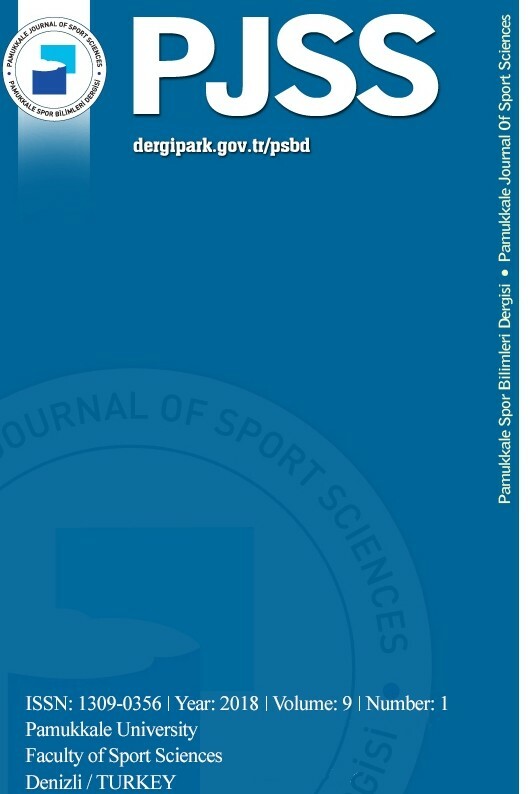 Pamukkale Journal of Sport Sciences 6 / 1 (January 2015): 1-11.